Kirkus Best Books of 2018 "You can quit waiting for the other shoe to drop: I'm in it for life." 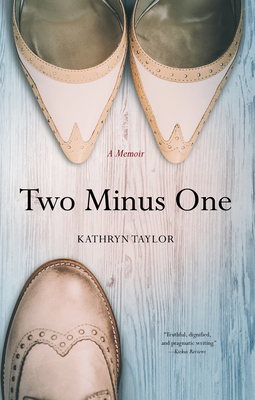 Those are the fateful, repeated words that help convince Kathryn Taylor to remarry, retire from her thirty-year profession, sell her home, and relocate in support of her new husband's career. But five years later, in a car packed with food she has carefully prepared to nourish her husband's dying brother, the other shoe does drop. Taylor's husband unexpectedly proclaims he is, "done with the marriage and doesn't want to talk about it." With this, the life Taylor has come to know is over. Relying on the strength of a lifelong friend who refuses to let her succumb to the intense waves of grief, she slowly begins to find her way out of grief. Over the course of two years, through appointments with attorneys and therapists, purging shared belongings, and pushing herself to meet new people and do new things, Taylor not only regains a sense of control in her life, she also learns to enjoy the new life she has built, the friendships she's formed--and to savor her newfound strength.